So I love Lemon stuff and I've been wanting to make this recipe for sometime now. 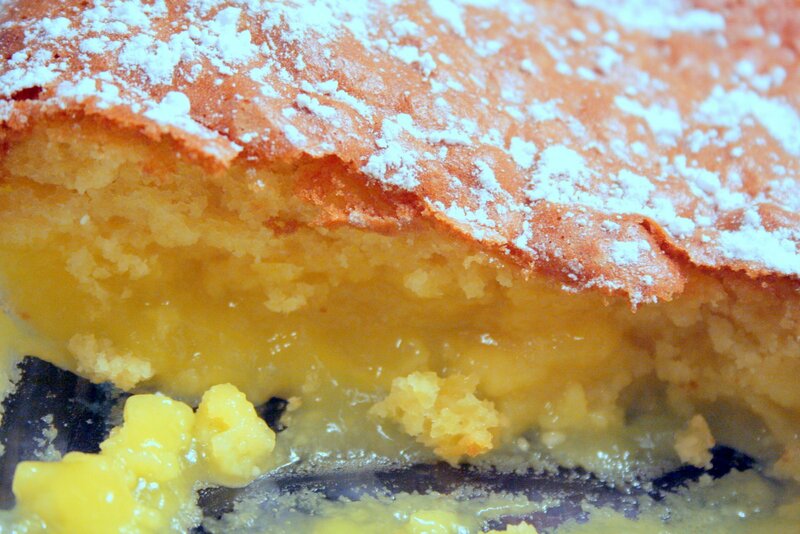 :-) This cake isn't overbearing on the lemon, in fact, I wanted it a little stronger with lemon so I tweaked mine. 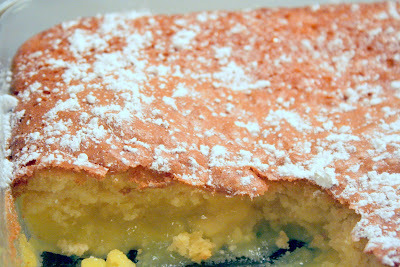 This recipe is from the Kraft Food and Family magazine, but they call it Warm Winter Lemon Cake. 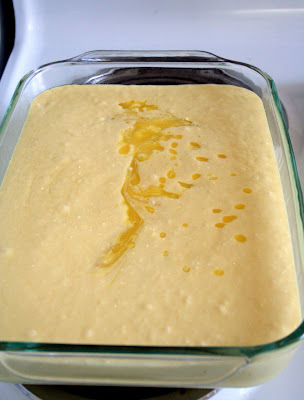 Mix up your cake mix like it says to on the box and pour batter in a greased 9X13 pan. In another bowl, mix up the pudding mix, milk, water, and sugar until well blended. Pour the pudding mix on top of the cake batter. The picture above is what mine looked like after I poured it over the top. Cook for 55-60 minutes at 350 or until toothpick comes out clean. Spoon into serving dishes, and store leftovers in the fridge.